The premier provider of high quality, competitive agricultural property management and real estate brokerage services in the nation. Capital Agricultural Property Services (CAPS) was acquired in 1986 by the agricultural division of Prudential Financial from The Northern Trust Bank of Chicago. Prudential, a financial services leader, expanded CAPS from a business centered primarily in the Midwest, to a company with nationwide focus. Today, CAPS continues to be a leader in the agricultural sector as one of the country’s largest provider of Farm Management and Real Estate Brokerage Services. Since 1986, CAPS professionals have handled over 1.2 million acres of farmland real estate transactions totaling over $2.4 billion (12/31/2018). These sales and acquisitions include row crops, orchards, vineyards, ranches, development, and recreational land. 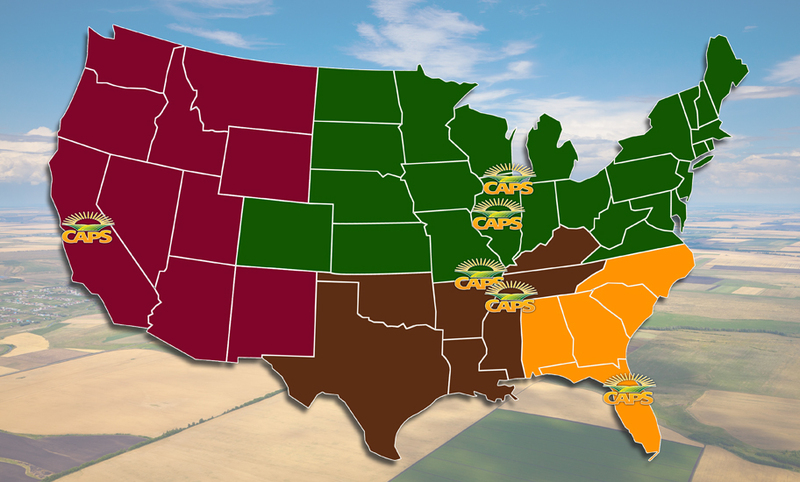 CAPS is also a premier provider of farm management and consulting services in the prime growing regions of the U.S., currently managing over 130,000 acres (as of 12/31/18) across the country. We serve the needs of many types of clients including absentee landowners, family farms, private investors, corporations, pension funds, and institutional investors. Capital Agricultural Property Services, Inc. CAPS will be the premier provider of high quality, competitive agricultural property management and real estate brokerage services in the nation. © Copyright 2019 - Capital Agricultural Property Services, Inc.